Plano Region Races for the Cure! Our teams at Somerset at Spring Creek and Reserve at Pebble Creek participated in Plano’s Race for the Cure on Saturday, June 9th. 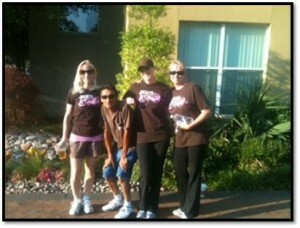 Congrats Stacey Shropshire, Assistant Manager at Somerset at Spring Creek for raising $100 in Race Sponsorship!